We help businesses with all of their unique needs. We have stories we could tell! 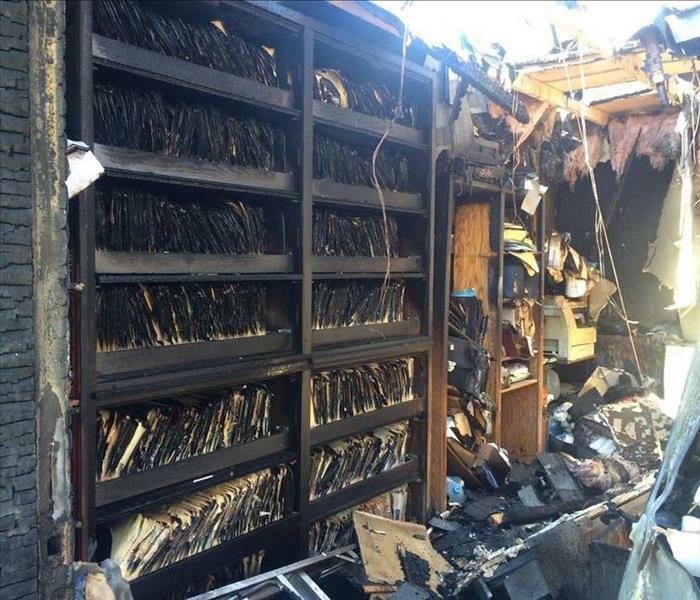 We understand that when water or fire damage takes place at local businesses throughout our community, and customers are under pressure to get help quickly and get back to business as soon as possible. We have been a reliable resource for countless businesses and we pride ourselves on our knowledge and expertise in getting companies back to normal while minimizing the impact it has on their employees and customers. cubicles with inches of water. A laboratory that works with sensitive chemicals had a sump pump fail and water was seeping throughout the laboratory and warehouse areas. A retail flooring company had us clean their carpeting, blinds and all of their upholstery following their remodeling project. Every business is unique. Good thing we are too!